Mount Bromo in National park of Bromo Tengger Semeru has uniqueness with a huge sandy area, which is covering an area of 5.250 hectare in a height of 2.392 metre from above sea level. You can riding a horse and climb Mount Bromo through the stairs and enjoying it by seeing the sun rises from the east. Look at how wonderful when the sun rises in the east and sets in the west and this experience will be the deep personal experience when you see it directly. Mount Bromo derived from the word "Brahma" (one of Hindu's Gods). 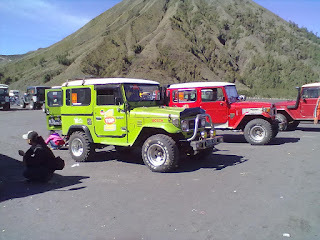 Bromo is the active volcano and famoused as tourism icon of East java. The volcano is not as large as another volcanos in Indonesia but has spectacular scenery. Its beauty is very incredible and it will make the tourists amazed. From the summit of Mount Penanjakan in a height of 2.770 metre, the tourists all over the world come to see the sun rises in Mount bromo. The scenery is very fabulous and at the time you can only hear the sounds of camera shots from the tourists when they take the moment that can't be gotten in any other place. When the sunrise comes, it's very amazing and incredible where you can see the foreground of Mount Semeru, which is throwing smoke from the far distance and the sun shines up into the sky. Enjoying the vast sea sand, witnessing the splendor of Semeru mount, also staring the beautiful sun who moved out nicely or enjoying the evening sky from Bromo hill's ridge is an unforgetable experience when you visit Bromo. Mount Bromo is populated by the society of Tengger tribe who believe that Mount Bromo is a place where a prince sacrificing himself for his family. The society here always celebrating The festival of Yadnya Kasada or Kasodo once a year by presenting vegetables, chickens, and moneys to be throwed into the crater of volcano and devoted into their Gods. Witnessing a spectacular sunrise from Mount Bromo is the important things from a travel into Mount bromo. Come in the month of Kasada or on the tenth month (on September until November usually) and watch the festival of Kasada where the society of Tengger tribe come to bromo and throw their offerings such as vegetables, chickens, moneys, into the crater of Mount Bromo. Riding the horse on the extensive sand that only had by this national park is a irreplaceable experience. The expanse sand is very vast with a height of 2.392 metre, the uniqueness of this nature is only in Indonesia. The expanse sand is seen very amazing when the sun shines it in the morning, and also it is seen clearly from Cemorolawang, one of the entrance into the national park. The climbers of Semeru mount, always detour into some cold lake that always fogged such as Lake Ranu Pani, Lake Ranu Regulo, and Lake Ranu Kumbolo. This is shifting the focus to a memorable trip. 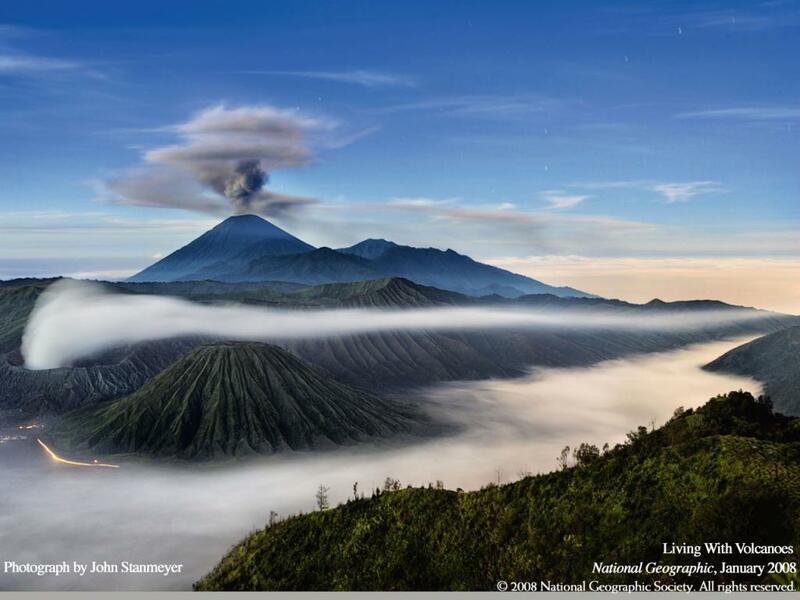 To arrive at Mount Bromo, you can fly from Juanda international airport, Surabaya. Sriwijaya airline fly twice a day from Jakarta to Malang. From malang, you can continue your travel to Mount bromo by booking the travel agent or riding the car by the route Surabaya-Pasuruan-Wonokitri-Mount Bromo. The travel is about 2 until 3 hours. There are three entrance besides the route at the top, from Cemorolawang village if you through Probolinggo, Ngadas village if you through Malang route, and Burno village if you through Lumajang city. All of these routes can be taken comfortably by using buses. 1. Pasuruan – Warung Dowo – Tosari – Wonokitri – Gunung Bromo, within 71 miles. 2. Malang – Tumpang – Gubuk Klakah – Jemplang – Gunung Bromo, within 53 miles. 3. Malang – Purwodadi – Nongkojajar – Tosari – Wonokitri – Penanjakan, within 83 miles. 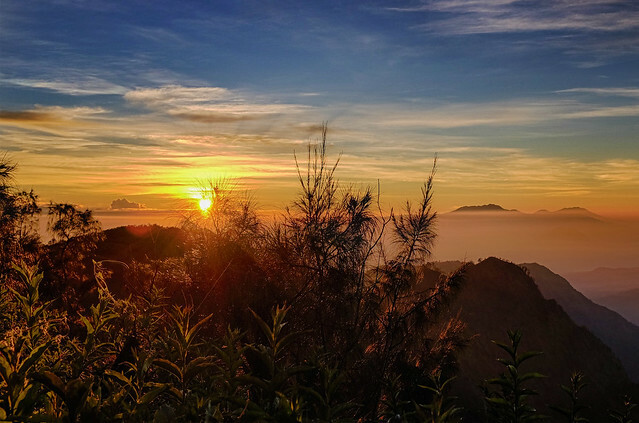 In order to arrive on time to see the sunrise, It would be better if you go with the best calculation time, or you can stay overnight in one of hotel in Prigen, Tretes to ensure that you're in the slope of crater before the sunrise. When you're in bromo, if you don't use personal vehicle, vehicle of 4 X 4 always available to bring you go. Although it's not too expensive if you go and bear its own cost. When you're in groups, the cost will be cheaper. The air temperature in Mount bromo approximately between 3 until 20 degrees celcius, but sometimes it will decrease until under zero degree during dry season. If you're not strong enough with the cold air, it would be better if you bring jacket, gloves, and hat or another headgear. After the sun rises the weather will become hot enough fastly. Don't forget to bring a camera or handycam so you can capture the natural beauty. From Penanjakan to sandy area, the route is very precipitous, so the usual four-wheeled vehicles are not recommended. Riding a horse, walk away, or renting spesific vehicle from tour guide could be another alternative. There are some guesthouses and simple hotel around Mount Bromo. Bromo Guesthouse is located in Ngadisari with a distance of 3 miles from crater slope or you can choose another hotel in Cemorolawang, which is located in crater slope. This website will help you to make a decision where you can stay overnight http://www.wisatamalang.com/hotel/bromo.html In that website, there are also many hotels will offer you a good and spectacular scenery from Mount semeru and arjuna.